I feel so excited to share what I do and how motivated it makes me everyday. I am so overjoyed to be helping people overcome seemingly insurmountable emotional issues. I have developed a simple and powerful technique to overcome the symptoms of trauma, stress and tension !!!. Trauma Buster Technique (TBT) is a tool every person should learn so they can help themselves and others to eliminate the recurring negative emotions held in the body. Have a look at this report and testimonials from one of my TBT workshop: TBT Progress Report by Nai Zindagi. TBT is easy to Learn and apply. Results are lasting and permanent. TBT is not dependent on language, literacy, IQ, age, or gender. TBT can be used in groups, one on one or for self help. TBT is effective on recent, long standing, complex or simple traumas. TBT is designed to reduce and / or eliminate symptoms of Post Traumatic Stress (PTS). While we cannot change the actual experience of something that has happened in the past, we can change how the experience is structured in our brain and therefore how the memory when recalled is experienced. This applies to recent or historical traumas such as wars, drone attacks, bombings, home invasions, rapes, earthquakes, floods and other violent events either personally experienced or witnessed. TBT can be used for any events that cause people to feel anxious, stressed or depressed. The traumas do not have to be extreme to get the relief people desire. Sometimes family relations cause people to feels stressed and anxious and TBT can easily be applied here to reduce and eliminate the negative feelings. TBT is especially useful in helping people to change negative and unwanted beliefs. These beliefs could have been installed during early childhood upbringing. We can struggle with these obsolete beliefs related to self-esteem, worth and capabilities for a life time or we can use TBT to change our perspectives and turn around our lives. 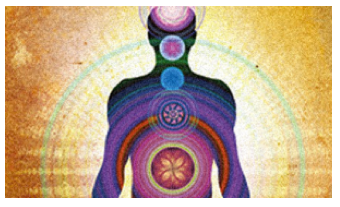 The Trauma Buster Technique (TBT) follows the Mind-Body Healing Model. It is a process designed to eliminate symptoms of stress specifically for Trauma and Post Traumatic Stress (PTS). Tapping therapies are a synthesis between Western Psychology and acupuncture meridian stimulation, known as Energy Psychology in the USA where it was developed. In this system the body and mind are utilized as a single healing tool to bring about changes in the psyche of the trauma sufferer. Stimulating the acupoints by tapping on them brings relief from traumatic memories. Many forms of ‘tapping’ have evolved from this synthesis; the most well known being Emotional Freedom Techniques (EFT) where tapping on selected points on the body brings relief from negative emotions, feelings and behaviors. EFT focuses on negative self-talk and deletes energetic body memories which are the core events causing the unwanted responses. Similar Mind-Body healing systems are Yoga, Meditation, Dancing and many forms of Exercise which are used to change the state of mind. The main difference between Energy Psychology and other Mind-Body techniques is that focus is put on negative thoughts and feelings while tapping on the meridian points to resolve unwanted responses. Research has shown that tapping literally changes brain chemistry by stimulating the flow of endorphins which result in mood and behavior shifts. Cortisol levels are shown to fall when tapping is done while the sufferer is in an anxious or stressful state. Tapping is also known to modulate the sympathetic and para-sympathetic nervous systems which is one of the mind-body’s natural response for de-stressing. TBT is a powerful process for interrupting negative neurological patterns of thinking and therefore bringing about internal change. Excellent results have been obtained using TBT with my clients for many diverse and difficult traumas. Clients have found TBT to be an extremely useful tool to use on their own as well. Front line helpers in areas of natural disasters and war zones. Practical, hands-on training to learn and use TBT. TBT practitioner workshops are designed to give you, as hands-on participant working with others in the workshop, guided by Rehana, skills and real-time practice using TBT. You will apply TBT to your own problems, as well as practice and demonstrate a high level of skills working with other people’s issues to gain satisfactory results. 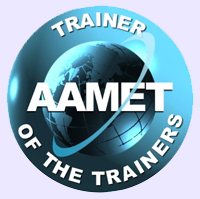 The TBT Certified Practitioner Level Certificate will be awarded upon your successful demonstration of the application of TBT during the workshop and submission of at least three case studies within a set time period after the workshop. 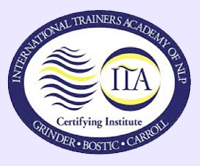 You will also be placed with other TBT practitioners on the International TBT Facebook page. I first met with “John” (not his real name) in late 1998. 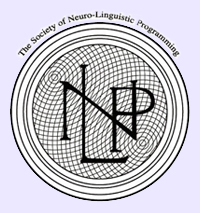 I had a contract with a government agency for using NLP interventions on some of their long-term and high-risk clients. The agency monitors people released from prison or on sentence of supervision. John had been assessed by the various psychiatrists and psychologists in New Zealand. The diagnosis was bi-polar and/or schizophrenic disorders and he was experiencing several psychotic episodes. He had been on a range of medications and was still on his medications when we first met. We had a total of 10 sessions. I met John last week again, after not being in contact with him for over a year. He came in to see me and to show me how he had progressed. The changes were AMAZING. When we first started working together, John was 47 years old. By this time he had spent the majority of his life in and out of the prison system starting from age 12. John was nervous and jittery. His body language showed a heightened flight-fight state. He was as skinny as a rake, displayed nervous tics and tremors on his face and limbs and his eyes seemed ready to pop out of their sockets. It was difficult for him to make and maintain eye contact. He certainly did not want to talk about himself. My first step was to build rapport with him and I used all my NLP rapport building skills to do that. I explained to him that I did a different type of therapy, which he would not have experienced before, and that I would also teach him skills if he was willing to learn them which would help bring down his anxiety levels. Over the sessions I got a detailed life history of John. He was adopted into his family when he was a baby. His biological parents are unknown to him. His childhood was a living hell, fraught with abuse, violence and fear. 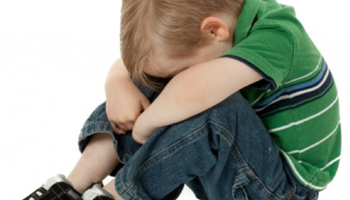 At the age of 3 he was sexually violated by his stepfather, and this abuse continued almost on a daily basis until the age of 12 (when he was able to stand up to the abuser). After every sexual assault (where he was brutally sodomized), he was also beaten unmercifully and threatened with death. Finally at age 12 John left home and began a life of drug and alcohol usage, which led to criminal activities. I used several interventions with John, including EFT and NLP. In addition we did time lining and future pacing (DHE) so he could design a future for himself. This allowed him to feel he had some degree of control over what could happen in the future. During our weekly sessions John used all the techniques frequently and kept a daily journal. The changes he was making to his thoughts and behaviors were evident immediately. He told me that in all his years of therapy and counseling he had never been given any self-help tools. The counseling he had received previously was purely Cognitive (talk therapy). When I saw John last week, it was a sight for sore eyes! I was amazed at the difference in his demeanor. He has put on weight which suits him well. All the above were part of his hopes and dreams in his inner work. I feel privileged and proud to have worked with John. 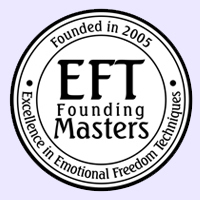 And I want to thank Richard Bandler for making the use of NLP and DHE possible for so many people, and Gary Craig for creating EFT. I had the opportunity to work with “Will,” a Viet Nam war veteran who was now retired from the New Zealand Army. He had heard that I might be able to help him, and after 2 years on prescribed medications (nortriptyline, citalopram and melatonin), he finally thought he would give EFT a try. Will had served in Vietnam from 1965 to 1968. During that period he had witnessed a lot of death, destruction and violence. The most traumatic incident during that period was the death of his best friend, who was killed by enemy fire right before his eyes. This particular memory had haunted him all these years and he blamed himself for not having prevented “Jim’s” death. 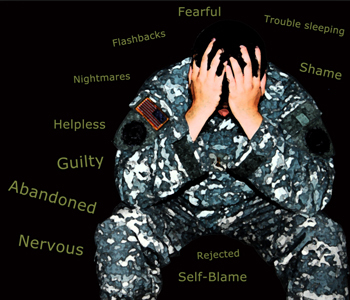 The symptoms he had been suffering from were the classic PTSD, nightmares, recurring thoughts, flashbacks, and anger/grief about certain incidents. I asked Will to relate the whole incident to me and asked him to measure his emotional intensity on a scale from 0-10. He said they were 10++ and my observation of his physiology confirmed this. His face was flushed and bright red, his jaw was tightly clenched and his knuckles were tight and white. I tapped on his face, torso and hands while I asked him to repeat the story. I asked Will to recall as much detail as possible about the surroundings, the sounds, the temperature, smells and particularly his feelings, including his bodily sensation. We did this 3 or 4 times. Each time I asked him to just go over the events as best he could. When I was sure that his emotional intensity was down, I then asked him to talk about his anger and grief regarding the event. He blamed the commander for not taking enough safety measures and blamed him for being a ‘glory hunter’ and sending out the guys into known dangers. This patrol was following a fresh trail into the jungle and has stepped right into the enemy bunkers. I then asked Will to repeat statements after me while I tapped with him. We only tapped for 30 minutes or so. I checked with Will the following day, and he told me he had the BEST sleep in 30 years! Then the same again the next night. Will had lived for years with recurring nightmares and flashbacks. Now they are gone. It’s only been a week and Will tells me he does not have any of the old negative emotions he was experiencing in the past 30 plus years. Most importantly is that the nightmares have not occurred since the EFT treatment. “A Russian scientist has been studying the human energy field and is claiming that people can change the world simply by using their own energy. While this idea is not new, not too many have taken the time to go about proving such ideas scientifically – although the field of quantum physics has shed some powerful light on the topic over the years. Before and After TBT Session! Less Trauma = More Peace in the world. Want to help support the spread of TBT? Your generous donations help tremendously! There is no doubt in my mind that as TBT spreads and people are released from their traumas, we can move towards homes, societies and a world where there is love and peace. Rehana, I cannot even begin to express the gratitude that I feel towards you. What an amazing technique you have developed to take away the suffering that human beings are carrying around. I feel deeply blessed that God gave me this opportunity to learn from you and help others. The way in which the burdens people have been carrying around are put down is phenomenal. Difficult to describe in words! They emerged from fear and relaxed. Many were able to sleep. When some went into distress at night, the others told them to tap. They could meet our eyes. They were no longer ashamed or embarrassed. They were able to be open and say what had happened. On the last day, they were singing.